I’ve just got a sneak preview of the cover of Dubliners 100, the book of short stories Tramp Press is bringing out in June to commemorate the 100th anniversary of the publication of Joyce’s Dubliners. Fifteen writers were asked to do “cover versions” of the stories in Dubliners – the brief was fairly open and the recasting of the stories was left entirely to us. Luckily, I was one of the writers asked. The story I got to rework was An Encounter which is not one of the stories that immediately appealed when I first read Dubliners 35 years ago. (My favourite then was Araby, as I’ve written elsewhere on this blog). But as a result of this commission from Tramp Press, I have read An Encounter very closely over the past few months. It’s one of those stories that offers up its mysteries slowly – a true sign of art – and it has displaced Araby, of my youthful affections, as my mature favourite of Joyce’s stories. Not much seems to happen in An Encounter. Two boys, keen for adventure, go on the mitch from school and meet an old man, who may or may not be an exhibitionist. The man speaks to them in a strange fashion; the narrator is oddly entranced by this man but his friend, being more pragmatic, runs away. The result of the encounter is inconclusive but the relationship between the boys – the bookish narrator and his more phlegmatic friend – is changed subtly as a result of it. The challenge in recasting Joyce is to try to recreate the spirit of the story without resorting to pastiche (and even pastiching Joyce is fairly difficult). He spoke, famously, about the “scrupulous meanness” of the language in Dubliners which accounts for the intensity of emotional effect in the stories. When recasting An Encounter, I went for the intensity of emotion – but the stinginess of language I found harder to achieve. The rewriting of Joyce’s story has been a journey of rediscovery – looking at an overlooked story (overlooked by me, that is ) and finding a slow-release masterpiece. Now I can’t wait to see how my fellow writers – John Kelly, John Boyne, Donal Ryan, Peter Murphy, Elske Rahill, Oona Frawley, Eimear McBride, Pat McCabe and Sam Coll among others – have channelled Joyce. 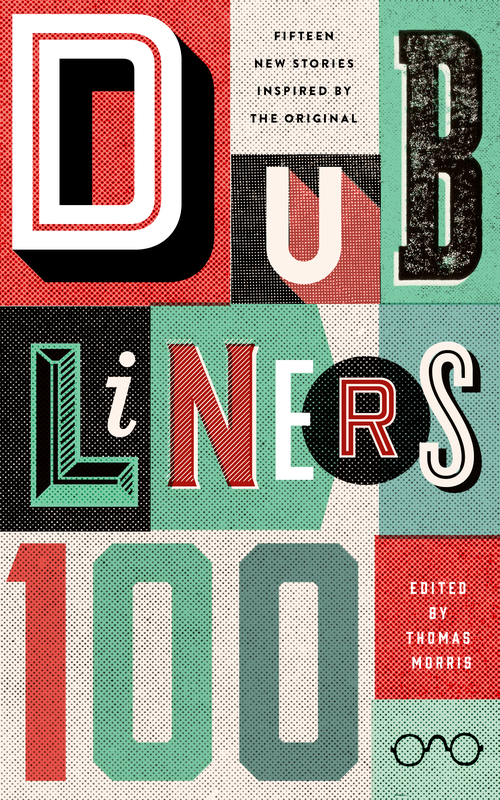 Dubliners 100, edited by Tom Morris, is published by Tramp Press on June 5th.